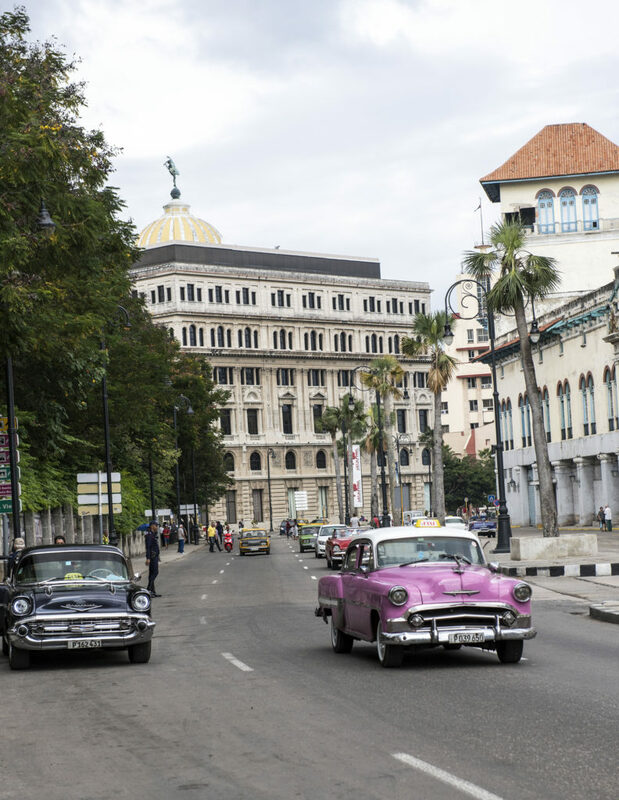 Following the evocative rhythms of a city in rapid flux, Ishay Govender-Ypma immerses herself in the soundtrack of Havana, looking for clues that reveal its heartbeat. Havana, Cuba’s Vibey Capital. For Marie Claire SA, May 2017. THEY SAY YOU HEAR THE LIFE before you see it in Havana. Prior to my travels last November I pored over every book I could, to build a mental picture of the revolution, the decrepitude, the rhythms, the voices calling “Mira!” [meaning ‘look’ or ‘yo’ in Spanish], the landscapes etched across a 1255 kilometre-long crocodile-shaped Caribbean island nation. Journalist Julia Cooke’s The Other Side of Paradise – Life in the New Cuba, which documents the lives of young people from 2008 over five years, offers some context. As does Randelman and Schwartz’s Memories of a Cuban Kitchen, and books by Fidel Castro and Aleida March, Che Guevara’s second wife, an active member of the Castro army (Remembering Che: My Life with Che Guevera). 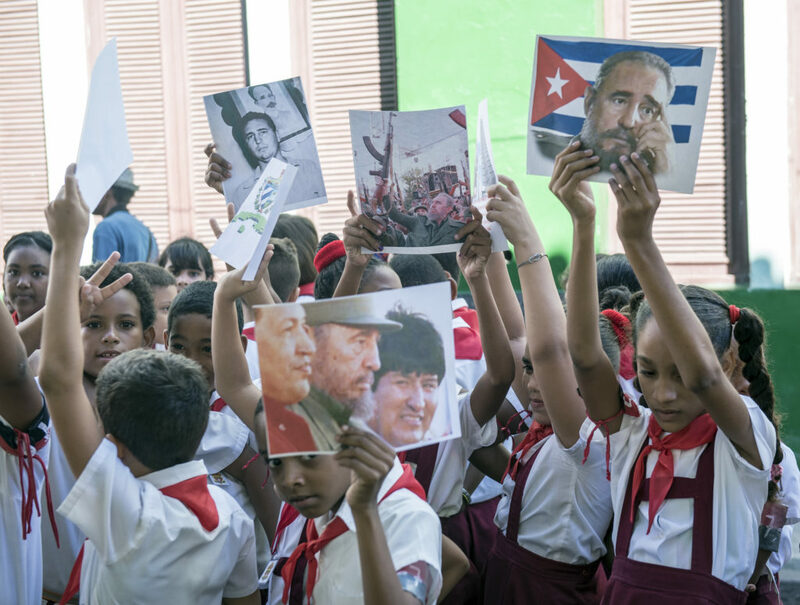 The corruption, liberation, deprivation, hunger and hope – Cubans, particularly those who have lived there since the early Fifties – have know it all too well. But I had only to close my eyes and to listen closely, to get a sense of Havana and her people. It’s in the drag of the street sweeper’s broom. The clack of a horse’s hooves on cobbled streets lining Havana Vieja, the old city. It’s in the flick of a fisherman’s line cast into the bay by sunrise. It’s the salty waves that crash across the Malecón, to the shouts and howls of unsuspecting tourists. It’s the voice of a fisherman as he walks through the city by morning light, selling his catch in a yellow bucket. It’s in the symbolic beads that click with each step against the all-white dress of a Santería devotee. It’s the match that ignites a blue candle in the church in Regla, dedicated to the Black Virgin. 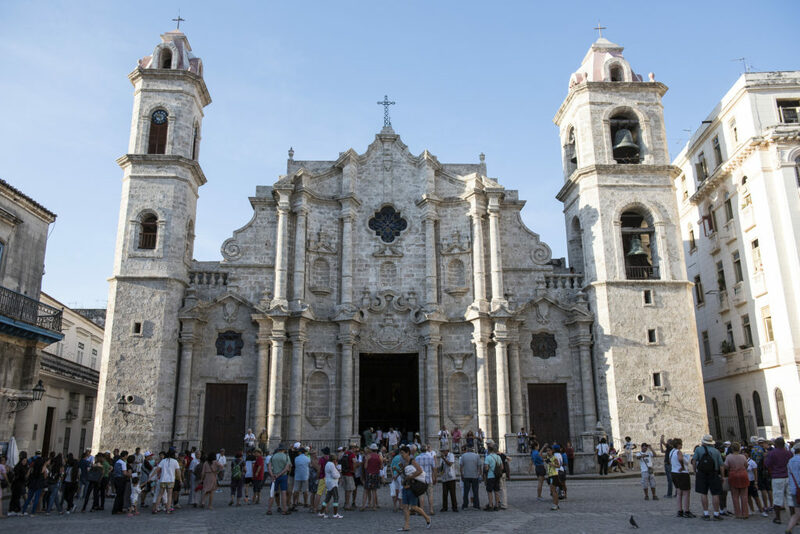 Syncretism in Cuba, the amalgamation of Catholicism and its rituals merged with the West African Yoruba-derived saint worship which African slaves clung to, is widely practised. In Regla, a self-proclaimed Santería fortune-teller beckons sharply with an intensity I cannot ignore. Her rough fingers trace my palms and offer the promise of triumph and new life. My husband, she says looking directly into his eyes, is wholly under-appreciated, to which he agrees wholeheartedly, slipping her a few more dollars. I laugh; she grazes me with a feline glare. Havana, our guide Alex Venegas warns, is rife with photo-ready gentlemen dressed in plaid, cigars dangling from their mouths, and fraudulent fortune-tellers in crisp skirts, hawking their services along the popular plazas for a few convertible pesos or CUC, the alternative currency pegged at 1:1 to the U.S dollar. After visiting the state-run grocery stores (Cuban businesses save for paladares [home restaurants] and casa particulares [family-owned home stays] are predominately state-run), the markets with basic and wilting produce, even the exclusive boutiques on Calle Obispo, which carry a paltry collection of homemade and Chinese clothes and beauty products, I grow to quickly respect the hustle. 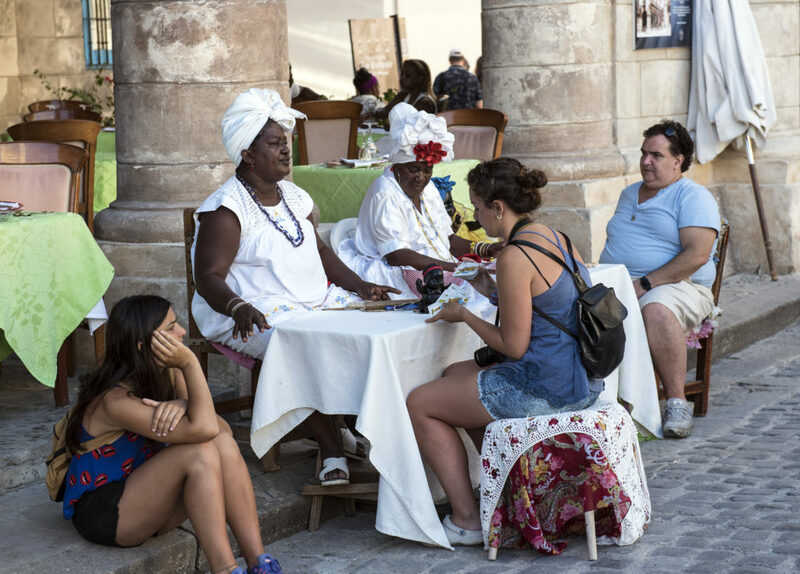 The exigencies of survival mean that Cubans must leverage what they have to an ever-increasing tourist population – 4 million countrywide in 2016 alone – a figure influenced by the blossoming diplomatic relations between Cuba and the U.S, initiated by the Obama administration. How can Havana, or any Cuban city for that matter, be extricated from the slow exhalation of cigar smoke? Imprinted on our collective minds is the ritual, satisfying for both smoker and observer. The effect is grand, cinematic. And on every mural and replica photograph of Castro (Fidel or El Comandante to the Cubans) and Guevara, who would eventually become the Minister of Industry, there is a cigar pressed to their lips as they march or command, a gauzy veil shading their eyes. The industry is so regulated, I learn, that you can’t buy a cigar at any of the tobacco farms in Viñales. At the Hotel Nacional, a Thirties grande dame, I sip on a piña colada (as far as tourists go, the acceptable alternative to a mojito or Cuba Libre,) and watch an Asian couple meticulously cut the head of a fat cigar and light up. Strains of Guantanamera and Besame Mucho, performed by a live band, rise on the warm air as couples sway in the dim light of the patio where we sit and watch, and listen. 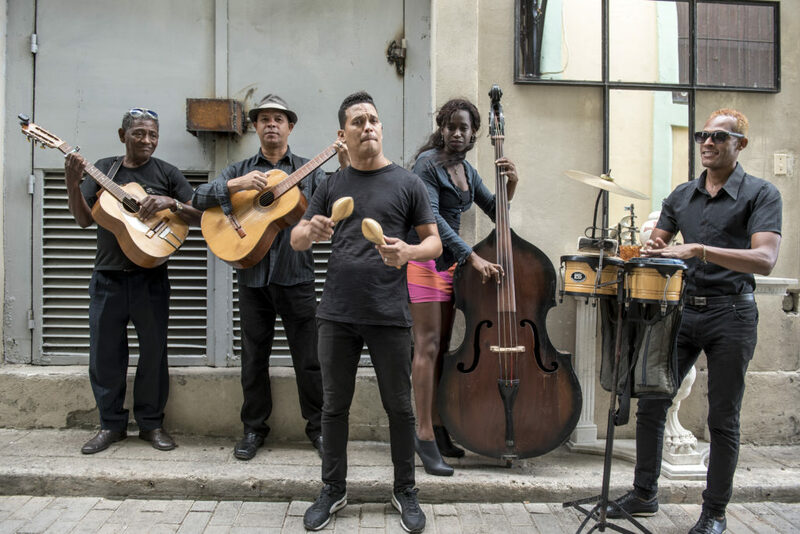 Havana lives in the son played by street bands to the joy of hips joined in salsa. How eagerly my neighbouring lunch companions leap from their table, shedding their corporate lives in Mexico City, to dance with arms-in-the-air rapture in a narrow street to a roving band. I close my eyes as the drumming intensifies. Life here is sometimes rumba and lightning-fast feet; the shake of maracas like jubilant rain in a storm. It is buried in a haunting Neuva trova that cuts right into your heart, crooning in the dawn-rimmed hours at the dance halls, a haze of rum fuelling bravado. Life is in the bass that reverberates from the still-gleaming reconditioned cacharros that the Americans introduced in the Fifties, lining the high-rise hotels in Vedado and Miramar built during a time of gambling, mobster-thugery and fistsful of dollars spent with scant thought of tomorrow. It’s the hearty laugh of the jiniteros touting to get you into their “mama’s” paladar, and the finality of an empty espresso cup slid on a café counter. It’s the tourists’ knives cutting through a 20 CUC steak, the equivalent of a single monthly salary, and procured from Miami while local children eat bread with a smear of butter. It’s the whirr of the sickles whispering through grass and cane in the countryside where until the violent Castro coup, peasants and farmers were largely illiterate. My road trip tour guide, Guillermo Delgado, speaks with affection about his wife who worked in the military education brigade as an adult literacy teacher and his mother who sewed the brigades’ uniforms. My stay coincides, at the tail end, with the passing of Castro who was in power for six decades, a bitter-sweet farewell to his compañeros and compañeras, as his remains amble on towards Santiago de Cuba, where he went to school and later led the failed July 26,1953 rebellion against Batista. Castro’s death brings on a stillness that disarms me. All around, plays and recitals, dancehalls and street bands, the hustling feet and rambunctious laugher cease for nine days of official mourning. In the silence, the monotony of life – couples arguing, babies crying, an Eighties Russian Moskvitch belching fumes, becomes more apparent. On hearing the news, Guillermo is inconsolable, grief knitting a cloak over his red polo shirt. Plastered on shop doors and churches, there are posters in memoriam. School children on their best behaviour gather to pay their respects at state monuments, flags at half-mast. I read the more positive reports and letters of condolences to Guillermo. He knows about the Cubans in Miami who have taken to the streets, jubilant, victorious. “Traitors,” he murmurs. He tells us about a time of struggle and inequality in Cuba pre-dating Castro. I learn to listen between the silences for cues as I retreat into the shadows, leaving the Cubans to their mourning, and quiet celebrations in some cases. When I return to Havana, after a short break to the Yucatán peninsula in Mexico, the sounds I became accustomed to, are restored. Life is to be found in the all-night construction on the new buildings that are destined to become swish 5-star hotels, all meringue-white colonnades and neo-classical façades. It is also, by stark contrast, to be found in the creaks and sighs of buildings that still stand as if by miracle, like the one that houses La Guardia paladar in Havana Centro, made famous by Senel Paz’s Strawberry and Chocolate – divulging centuries-old romances and regrets preserved in heartache. There are choices that have been made that we simply cannot understand with Western eyes. So I close mine on the balcony of the Santa Isabella hotel while vendors set up for the weekly book market in the Plaza de Armas and I drink in the life below me. 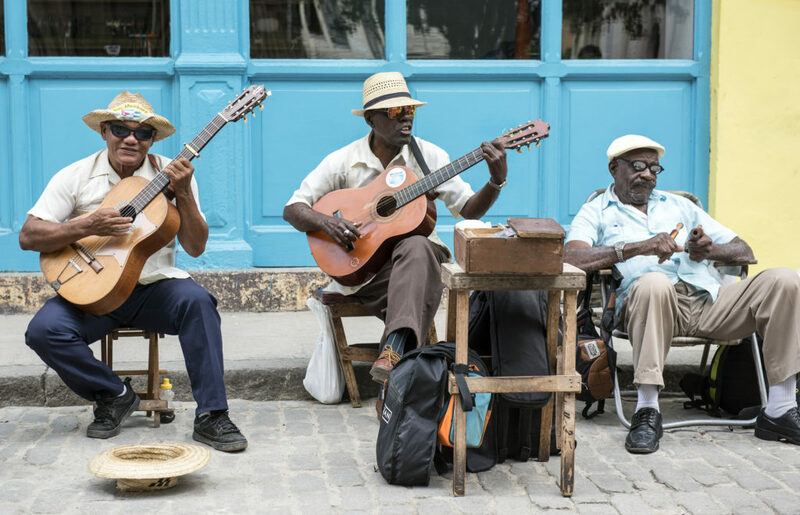 In Havana, life travels on the sounds – high heels scraping cobble stones, the swift unfolding of dollar bills, children chasing footballs on the squares, a fissure of discontent in a lover’s reply, late-night calls to sons abroad from the Wifi-enabled parks, the strings of a guitar strummed by a weary thumb.